You know that expression – There is no such thing as bad press – well that goes for feedback and engagement too. Recently there has been a bit of a kafuffle in my little city. The issue was around the painting of a storefront. Twyla Johnson, owner of Corner Hut Fashions decided to spruce things up by adding some pink to her exterior walls. This is what is used to look like. Click here to see what it looks like now. Not really a newsworthy event one would think. However, the new colour it turned out, was not an approved colour in the downtown core. What ensued was a flood of sympathy for the store owner and some criticism of the city enforcement folks for asking her to paint over the pink with an approved colour. This was not a problem; this was an incredible community engagement opportunity. First and foremost, the community became engaged. That’s usually the hardest step and in this case the community came to the table of their own free will. 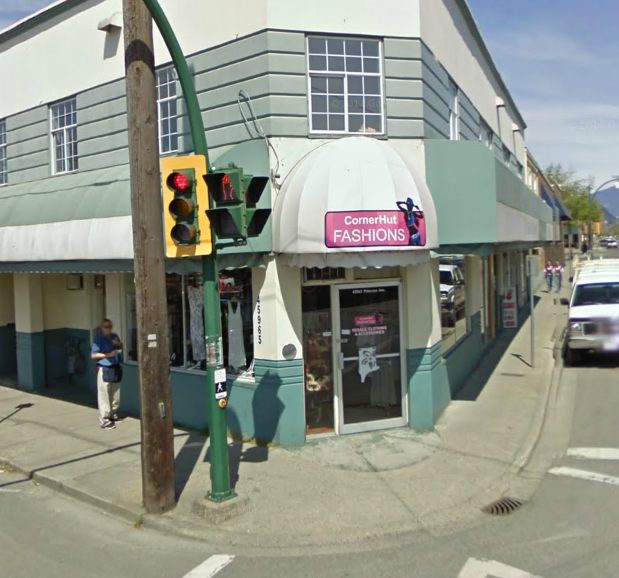 The local press published an article that got people thinking about the downtown core and business in Chilliwack. How cool is that! Some folks thought about it so much they even responded to the republished article that appeared in the Province News (online). There were even some Tweets about it. This is called earned media and it’s priceless unless you try to toss it out like last night’s trash. If you do don’t use it correctly the bag of gold you’ve been handed will quickly turn to a bag of rubble that you may have to clean up. The original article was published July 28th in the Chilliwack Times (online and in hard copy) and was picked up by the Province and at least one other Fraser Valley newspaper. On July29th, very quickly for government but a bit slow for social media, a response was posted to the City of Chilliwack’s Facebook page with the link broadcast on Twitter. The City has recently begun using both Twitter and Facebook to engage with constituents. If you are a business, non-profit or government entity and you are using social media for engagement then this kind of event is a prime opportunity to engage. Those that have been really successful in using social media to engage communities have learned three key engagement lessons. Thank you (@insert name here) it’s great to see the outpouring of support for local biz. We’re working on a solution to this right now! Keep ideas coming pls! Social media is different from other media. There’s an ethic of courtesy and just plain niceness that has been present from the beginning. If you look at the Tweets and Facebook posts of social media leaders, the influencers, the folks with really deep and wide reach you will find a very specific tone, especially when responding to a negative comment. In some ways this tone and communication style is a lot like Motivational Interviewing, a communication style and philosophy that’s used by counsellor and group facilitators. In this type of communication the goal is to create and enhance relationships so the response to any kind of negativity or disagreement is to first really hear what people are saying, acknowledging that how they feel is valid and then ask for more information so that you can see what they are seeing. This works in the counselling field, it works in face to face groups and community engagement and it almost a necessity online. It may be that it’s more critical online due to the lack of body language and facial expressions that we usually use to pick up and express social cues. We’d like to thank everyone that has taken the time to share their views about The Corner Hut Fashions storefront colour. It’s always wonderful to see the community supporting local business owners. Please understand that our intention was only to follow the downtown merchant’s guidelines that were put in place several years ago by the Downtown Business Improvement Association (BIA). They created a plan for the downtown which you can see here (insert link to the plan). We will work with the business owner in this instance to find a solution that works for both her business and the BIA guidelines. We will also make sure new businesses are aware of the guidelines including the colour scheme in an easy to access format. When we say “We’re open for business” we mean it and we know that means doing what we need to do to support those businesses. We would also like to take this opportunity to bring to the forefront the issue of some of the less than attractive boarded up buildings in the downtown core. As a local government we are bound by the Local Government Act regarding what we can and cannot do about derelict buildings. This does not however mean that we have just given up. We are continually trying to improve the look and feel of the downtown core, address the social issues that are over represented in that area and create a safer and more inviting space. We have a number of committees and advisory councils informing this process. Please connect with us if you would like to become involved in finding solutions that can make our city better than ever. Finally, let’s keep this conversation going. We have a number of challenges that we need to take action on and that we need a collective response to. Please get involved today (insert specific call to action here). Finally, one last lesson in social media and engagement is that their needs to be a human presence. This would have been so much more engaging if there was a face and name attached. Better yet, several faces and names. The City of Chilliwack sprung for iPads for city council last year and using social media on the iPads to engage and interact with constituents would be a great use of the technology and tax dollars. I for one would love the opportunity for more engagement with city leaders 🙂 Wouldn’t you? See also Public Bodies struggle to cope with Twitter Volume an awesome and related post by Stephan Dale.